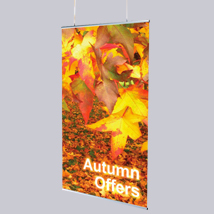 Our poster printing service is the ideal way to get your marketing message out there. 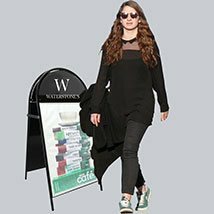 Whether you need a pair of posters for a sandwich board or hundreds promoting a business sale, our UK based poster printing service is the answer. 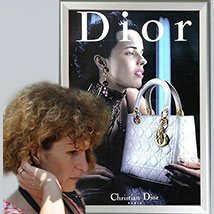 Discount displays have been printing posters for over 30 years. 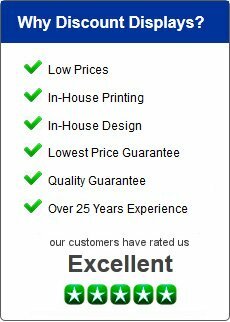 We offer a Fast reliable cheap poster printing service. 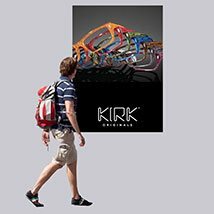 In-house design, printing and finishing using a wide range of material and vibrant inks. You get the right posters in any size or quantity you like at a price you are happy to pay. Digital large format printing is the ideal way for your business or shop to benefit from the impact of full-colour graphics even for one off’s and short runs. 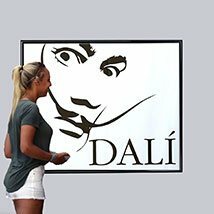 One question we often get asked is how to waterproof a poster? 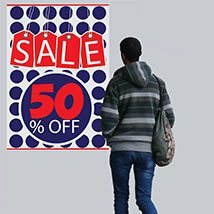 The cheapest solution is to buy an outdoor poster in the first place, which will have been printed on either an outdoor paper or PVC. 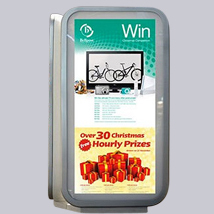 If you have an existing indoor poster then the best solution is to encapsulate it. Avoid Laminating as this has cut edges which allow moisture to seep in. Our Large format digital printing service is capable of producing graphics for all your advertising and marketing requirements. All print, production and finishing are carried out in-house so you get consistently high quality, fast turnaround and low prices. We have been involved in the printing of posters for 30 years serving companies large & small nationwide. Our large format printing department uses state of the art HP digital printing equipment to produce a comprehensive range of graphics and prints for businesses and shops. 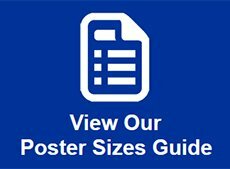 Popular poster sizes for businesses and shops include A4, A3 posters, A2 posters and A1 posters and A0 but we can custom print different sizes. Our service is fast and reliable and our prices very hard to beat. We can print onto virtually any material ranging from standard paper to PVC and any size. We are proud of our large format digital printing production technology but what sets us apart is our service and team of experts who bring a wealth of experience to printing your jobs to the very highest standard.